The CKCU Ottawa Folk Festival marked the millennium by celebrating some special anniversaries, including the 20th anniversary of the CKCU-FM folk music show Canadian Spaces (hosted by Chopper McKinnon), the 20th anniversary of Rasputin’s Folk Café (operated by Dean Verger), and the 10th anniversary of the CKCU-FM traditional country, western and bluegrass music show, The Back 40 (hosted by Ron Moores). It was also a time to remember two cherished Ottawa performers who died in the past year: Beth Ferguson and Dario Domingues. The festival was held from August 25 to 27 at Britannia Park. Chopper McKinnon and Karen Flanagan McCarthy returned to host the main stage throughout the festival. 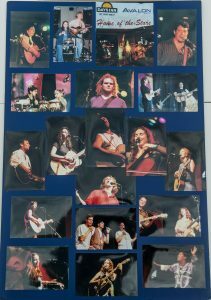 With the theme of Folk from Coast to Coast to Coast, the seventh annual CKCU Ottawa Folk Festival presented at least one artist from each province and territory. Our American neighbours were also well represented by the outstanding talents of singer-songwriter Greg Brown, and Odetta, who is known as the Queen of American Folk Music. Odetta showed remarkable poise when she continued to sing after a power failure plunged the main stage into darkness during her performance. Without the benefit of a microphone, her magnificent voice reached the back of the park. Another highlight was Garnet Rogers who accepted the Helen Verger Award for his outstanding contribution to Canadian folk music before delivering a show-stopping performance. Thursday, August 24: James Keelaghan, The Herb Girls, and Karen Savoca. Friday, August 25: Moxy Früvous, Kim Barlow, Oh Susanna, Jacob Two-Two, Emily Celeste, David Keeble, Martina Sorbara, and Christina Smith & Jean Hewson. Saturday, August 26: The Arrogant Worms, Théodore Fontaine, Melwood Cutlery, Chris Chandler and Magda Hiller, David Francey, Chris MacLean, Eugene Ruffolo, Les Crapaudes, John Charlton and Tannis Slimmon.Sunday, August 27: The Sunday brunch featured Cowboy X, John Charlton and Tannis Slimmon. Friday evening opened with Ottawa Folklore Centre owner Arthur McGregor performing his customaryacoustic version of “O Canada.” Next up was Great Balancing Act, a groovy band from New Brunswick that performed a spirited blend of folk and pop with great harmonies. They were followed by another fivesome:Colores Andinos, a group of South American origin that charmed the audience with the ethereal sounds of pan pipes, mandolin and Latin-style percussion. Accompanying them was Nubia, a passionate vocalist with Venezuelan roots. The audience was next treated to the refreshing performance poetry of Chris Chandler & Magda Hiller. The American duo was a treat to the eyes and ears each time they performed. Chris and Magda were followed by the pulsating rock rhythms of The Mike Plume Band making their second festival appearance. The mood shifted to a performance of historical ballads from Prairie performer James Keelaghan. Following intermission, the wacky, adorable and ever-popular Moxy Früvous took the stage with a high-energy performance. After a second appearance by Chris Chandler & Magda Hiller, Oh Susanna delivered a set of Appalachian-tinged ballads. The Jim Cuddy Band closed the evening with a mixed set of Blue Rodeo songsand material from Jim Cuddy’s first solo album, All in Time. The day began on the Nortel Networks Stage with the heavenly sounds of the Ottawa Harp Choir in concert. At noon, Folk from Coast to Coast to Coast showcased easterners Christina Smith and Jean Hewson, northerner Kim Barlow, and westerners UHF (Ulrich, Henderson and Forbes). During the afternoon, CBC producer Bill Stunt recorded his session Heartland Live 1, which featured Garnet Rogers, Darlene Sovran, Jacob Two-Two and Melwood Cutlery. The next session, Loonie Tunes, was hosted by Mike McCormickand featured the comical antics of the rest of The Arrogant Worms, Moxy Früvous and Chris Chandler & Magda Hiller. The afternoon ended with the session Acoustic Blues with blues harpist Gary Farmer, Tri- Continental and Ken Hamm. The Rogers Stage opened with the comical musings of Laroque and Larolla (Richard Patterson and Sandy Crawley). The Ottawa Citizen Family Concert with Heather Bishop and The Arrogant Worms entertained kids of all ages. Next up was Théodore Fontaine and Les Crapaudes in concert. The audience participated enthusiastically in the next session, Learn to Samba, hosted by Mike Atyeo and featuring dancers and Samba Ottawa! 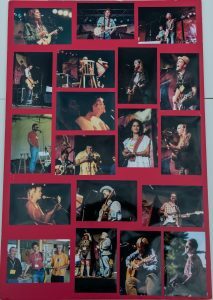 The Women of Folk showcased three generations of women pushing the boundaries of folk: Odetta, Shari Ulrich and Martina Sobara. The last performance of the day was Moxy Früvous in concert. The Phase 2 Stage presented My Guitar, an incredible concert featuring the guitar talents of Ken Hamm, Pete Heitzman and Bill Bourne. The American Acoustic 1 session, named for the CKCU-FM show, boasted the talents of Lucy Kaplansky, Greg Brown and Karen Savoca. Northern Exposure showcased traditional Inuit song and dance with Aqsarniit, and the northern voices of Kim Barlow and Tracy Riley. For a change of pace, the It’s Only (Acoustic) Rock & Roll session presented Bill Henderson, Laroque & Larolla, Sarah Harmer, and Madagascar Slim. Le Mouton Noir celebrated the popular Wakefield, Quebec club, The Black Sheep Inn. 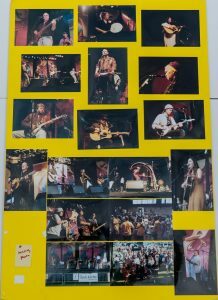 Owner Paul Symes hosted this session, which presented Garnet Rogers, Sarah Harmer, Kathleen Edwardsand Mike Plume. The US Airways Stage opened with a double bill: David Francey and Martina Sorbara in concert. The Next Wave gave the younger generation of folkies a chance to show their stuff. Jim Bryson hosted Emily Celesteand Mad Violet. A second double bill featured The Mike Plume Band and Great Balancing Act. The Prairie Power session, hosted by James Keelaghan, showcased Greg Brown and Heather Bishop. The stage’s lastoffering of the day was East Meets East, a down-home style kitchen party with P.E.I. native Lennie Gallanthosting Maritimers Christina Smith & Jean Hewson, and Mad Violet. A double bill of Gary Farmer and David Keeble was the first entertainment of the day on the Capital Double Decker & Trolley Tours Stage. Another double bill followed with Jorane and John Charlton & Tannis Slimmon. The third double bill featured Karen Savoca and Lynn Miles. Kathleen Edwards hostedGeneration F, a showcase of rising talents Oh Susanna and Jim Bryson. The final double bill of the day was a session with Darlene Sovran and the Kim Barlow Band. The CS CO-OP Family Area opened with Aytahn Ross (formerly known as Tawny Ross) who juggled crystal balls and performed other amazing feats. The Inuit traditional group Aqsarniit, humorists Laroque & Larolla,and Michael Cass-Beggs also performed material geared towards the young and young at heart. The Ottawa Folklore Centre Stage opened with an hour-long singalong with Arthur McGregor, followed byHeartSong in concert, a Folklore Centre Festival Choir Practice, and a session on Learn to Play the Pennywhistle with Andy Daub. Next up was a double bill of Jacob Two-Two and Mad Violet, followed by a double bill with Oh Susanna and Melwood Cutlery. The Nortel Networks Evening Concert began with Sarah Harmer, a fine singer-songwriter who once fronted the Ontario band, Weeping Tile. The group Aqsarniit is dedicated to the preservation of Inuit culture. Their performance demonstrated traditional Inuit drumming, dancing and throat singing. Festival favourites, The Arrogant Worms, entertained with their usual zany and side-splitting humorous material. Lucy Kaplansky, who wowed last year’s audience as part of the supergroup Cry Cry Cry, performed an engaging solo set that showcased her considerable talents as a singer-songwriter. The avant-garde ensemble F’loom combined social satire, improvisation and poetry with a sophisticated range of a capella vocals. Crowd pleaser, P.E.I. nativeLennie Gallant, entranced the crowd with his original roots-rock material. Following the intermission, Lynn Miles gave a wonderful performance to a crowd familiar with her music and exceptional singing style. It was a homecoming performance as Lynn had recently moved back to Ottawa. One of the delights of the evening was Jorane, who mesmerized the audience with her unique cello and vocal performance. Acoustic guitar wizard Jesse Cook demonstrated why he is considered a virtuoso and rising star on the international stage. The crowd warmly welcomed the last act of the evening, the exceptional singer- songwriter Greg Brown. It was the American singer-songwriter’s first Ottawa appearance. His magical but all- too-short set, featuring accompaniment from Karen Savoca, Pete Heitzman and Garnet Rogers, closed the evening in fine style. Sunday morning has become a popular time for lovers of gospel music at the festival. Voices of Praise, a local ensemble that offers a refreshing mix of gospel and soul, opened the day on the Nortel Networks Stage. They were followed by Shindigo in concert, and Heartland Live 2, hosted by Bill Stunt and featuring Jesse Cook, Chris MacLean, John Charlton & Tannis Slimmon. When Old Friends Meet featured good friends Greg Brown, Garnet Rogers and Karen Savoca. Jesse Cook followed, dazzling the audience with his acoustic guitar stylings. The wildly original session Celtic & Klezmer followed, with host Nicholas Froment presentingBeyond the Pale and La Volée d’Castors. On the Rogers Stage, the day began with Back 40 Live, 10 Years After. This session celebrated the 10th anniversary of the CKCU-FM program, The Back 40, which features traditional country, western and bluegrass music. Host Ron Moores was joined by Melwood Cutlery, Roy Forbes, Ball and Chain, and Washboard Hank. This session was followed by the Ottawa Citizen Family Concert, a fun-filled session featured the whimsical bells, washboard and whistles of Washboard Hank, and the stepdancing youngsters of Fast 4-Ward. The young Ottawa Valley stepdancers stayed onstage for the participatory session Stepdancing 4 Everyone. After that, the wild and wonderful local ensemble, The Herb Girls, were joined by veteran western performerHeather Bishop in concert. Dance was the theme of the next participatory session, Contradance for Everyone, led by Shindigo. The afternoon ended on a resounding note with a Drumming Circle featuring Rob Graves of Shindigo. Fine Old Traditions was the session that opened the Phase 2 Stage on Sunday. Christina Smith & Jean Hewson hosted a session showcasing Canadian traditions with Russell Levia & Mary Gick and Les Crapaudes. 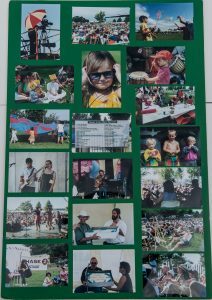 One of the most well-attended afternoon sessions of the festival was 20 Years of Uninterrupted Folk, celebrating the 20th anniversary of Canadian Spaces, the popular CKCU-FM show hosted by Chopper McKinnon. Joining Chopper were some of his favourite “Space Cadets”: Lynn Miles, Garnet Rogers and Roy Forbes. Plenty of well-wishers stayed on hand to congratulate Chopper and share some 20th anniversary cake. The Songs of the Land session hosted by Luis Abanto, explored the relationship between geography, climate and cultural expression, and featured Tracy Riley, Hart Rouge and Colores Andinos. The fast-paced session,Battle of the Bards pitted poets F’loom with Chris Chandler & Magda Hiller. That was followed by The Leading Edge, hosted by Tom Stewart and presenting Jorane and Darlene Sovran. The last session of the afternoon was Slo’ Tom (Tom Stewart) in concert. In the Beginning kicked off the afternoon sessions on the US Airways Stage. Host Bill Bourne explored the diverse roots of Canadian music, dance, story and song with Tri-Continental and La Volée d’Castors.American Acoustic 2 was hosted by Angela Page, who introduced Odetta, Magda Hiller and Eugene Ruffolo. Lynn Miles hosted The People You Love session featuring Lennie Gallant, Lucy Kaplansky andJorane. The Vox session hosted by Mike Regenstreif celebrated the wonders of the human voice as demonstrated by UHF, Hart Rouge and Ball and Chain. A special session celebrating the 20th anniversary ofRasputin’s Folk Café was hosted by owner Dean Verger and featured Lynn Miles, Eugene Ruffolo, David Keeble and Melwood Cutlery. Plenty of fans were on hand to enjoy a spirited session celebrating the legendary Ottawa café that is an essential component of the local folk scene. The Ragged Flowers kicked off the fun on the Capital Double Decker & Trolley Tours Stage with a short concert. Host James Keelaghan guided us on an historical journey with the help of Ken Hamm, Gail Anglinand Gary Farmer. Christina Smith & Jean Hewson appeared next in concert. Ken Hamm stayed to host theWest Meets West session, which featured an outstanding crew of westerners: Bill Bourne and Lester Quitzauof Tri-Continental, and Oh Susanna. Then it was time for a change of pace with the New York, New Yorksession with Festival Director Gene Swimmer hosting fellow New Yorkers Lucy Kaplansky and Eugene Ruffolo. The day wound down with a splendid combination of Words and/or Music as David Franceypresented F’loom and singing duo Russell Levia & Mary Gick. The Ottawa Folklore Centre Stage began and ended the day with practices for the Folklore Centre Festival Choir. The second session was one close to the heart of the Folklore Centre: The Folk Process in Canada.Michael Cass-Beggs hosted an hour of entertainment illustrating the evolution of music, dance, story and song in different parts of the country, as demonstrated by Les Crapaudes and Great Balancing Act. In keeping with the Canadian theme, Shari Ulrich hosted the Strong & Free session, showcasing some of our most evocative singer-songwriters: James Keelaghan, David Francey and Michael Cass-Beggs. Remembering Dario was amoving tribute to Ottawa’s much-loved musician, Dario Domingues, who died during the past year. Dan Artuso, Ian Tamblyn, Nubia and Colores Andinos joined with host Jennifer Cayley to share stories and songs of remembrance. Dario provided many magical moments during the first six festivals, whether playing his pan pipes on the main stage, performing in daytime sessions, or helping children explore the wonders of a wide array of instruments in the family area. A concert featuring Lennie Gallant followed. The CS CO-OP Family Area began Sunday morning on a high note, with Dean Verger’s fun-filled session,Storytime with Uncle Dean. Russell Levia, Les Crapaudes and Gail Anglin followed with music and stories for the whole family. The evening of concerts on the Nortel Networks Stage opened with the energetic stepdancing of Fast 4-Ward. The Folklore Centre Festival Choir, directed by Jann Maloney-Brooks, delivered a beautiful set of heartfelt songs. La Volée d’Castors, a twenty-something ensemble of six Quebec musicians, demonstrated why they areone of the province’s most popular young groups. UHF, otherwise known as Shari Ulrich, Bill Henderson andRoy Forbes, share common musical roots stretching back three decades in British Columbia. As always, they delivered a tuneful and harmonious set, as one might expect from musical friends who all happen to be excellent musicians. After a brief intermission, the group Tri-Continental, consisting of Bill Bourne, Lester Quitzau and Madagascar Slim, delivered an excellent and eclectic set. Garnet Rogers gave a gracious speech when he accepted the Helen Verger Award for his valuable contributions to Canadian folk music. He completely won over the crowd with an energized, rocking set that exemplified his musical genius as a master storyteller and a singer of songs from the heart. Some of the brightest moments of the millennium CKCU Ottawa Folk Festival, however, took place in almost total darkness during a performance by folk music veteran, Odetta. She opened her set by leading the audiencein a rousing singalong rendition of “This Little Light of Mine” and was just beginning the song “Careless Blues”when a power failure plunged the main stage and surrounding area into darkness. The audience spontaneously broke into “This Little Light” once again as people shone their flashlights to illuminate her, while backstage,workers scrambled to find portable lanterns to provide some light onstage. The effect was exhilarating, as the diminutive woman led the audience in song for half an hour, without the benefits of elaborate lighting or a sound system. Her unamplified voice rang strong and true, carrying to the edge of the crowd. Odetta seemed undaunted by the disruption and graciously continued her performance, asking the audience tocall out a request for a song they could all sing together. She settled on “Swing Low, Sweet Chariot” and led thewilling audience in several verses as they swayed back and forth in time with the music. The audience was entranced by Odetta, who was resplendent in a maroon and yellow turban and a bejeweledscarf. She also sang two “field hollers”, getting the audience to help out on the choruses. Drummer KebbaJobateh accompanied her from the audience on one song before partial power was restored and Odetta’s pianoaccompanist rejoined her onstage. Odetta picked up where she had left off, with the song “Careless Love” and followed with blues standards including “St. Louis Woman” and “Weeping Know How”. She finished the setwith “This Little Light of Mine” and was greeted for her encore of “Willow Blues” followed by “Poor Man Blues” and “You Got To” with a well-deserved standing ovation. Her performance was followed by a short set from Canadian supergroup Hart Rouge, who opened theperformance with an evocative a capella version of the Neil Young classic, “Helpless”. And so ended the seventh annual CKCU Ottawa Folk Festival. November 27, 1999: Fred Eaglesmith and Fireweed at Barrymore’s. December 11, 1999: The Arrogant Worms and Chris White at First Unitarian Congregation. January 28, 2000: Cindy Church and J.P. Cormier, National Library Auditorium. February 18, 2000: Karen Savoca and Vance Gilbert, National Library Auditorium. March 24, 2000: Connie Kaldor and David Francey, National Library Auditorium. April 14, 2000: Bill Morrissey and Kathryn Briggs, National Library Auditorium. May 27, 2000: Laura Smith and Terry Tufts, National Library Auditorium. The CKCU Ottawa Folk Festival thanks the following sponsors, partners and suppliers: Nortel Networks, theOttawa Citizen, CS CO-OP, Days Inn Ottawa West, Phase 2, The Ottawa Folklore Centre, Canadian Heritage, National Library of Canada, City of Ottawa, Regional Municipality of Ottawa-Carleton, Human Resources Development Canada, Ontario Arts Council, CKCU-FM, Rogers Television, XPress, CBC Radio One, Canada NewsWire, Steve’s Music Store, Indigo, Nutshell Music, The SOCAN Foundation, Integral Acoustics, BellMobility, Chapters, LoonySaver, The Ottawa Food Bank, VIA Rail Canada, US Airways, Capital Double Decker & Trolley Tours, Michael Davies Plymouth Chrysler Limited, D’Arcy Moving and Storage, The Loeb Glebe, Ginn: The Photography Store, Alexander Keith’s, Coca-Cola and Key West Loaded Soda.